A very dear friend’s two year old daughter was diagnosed with Leukemia earlier this year. Even though she is not my daughter, I consider her blood and she is very dear to my heart. When I read the words “my daughter has cancer” I literally started bawling. How can this sweet and innocent toddler have to endure something so horrible. She has a long battle ahead but I am truly thankful she has a cure rate of over 90%. I praise God each and every day for that. So you can imagine how my heart felt when I heard about P.S. I Adore You. P.S. I Adore You is a daily deal site with a cause. One of the moms reached out to me to share her story on her daughter, Cami. When she was 4 year’s old, Cami was diagnosed with leukemia and after 3 years of intense chemotherapy she is off treatment and doing well. While they were extremely fortunate that Cami did so well with her treatments, she watched for 3 years as cancer friends of theirs lost their children to this awful disease. She just HAD to do something to help, but found that people weren’t very willing to donate unless there was something in it for them. That’s why she started www.psiadoreyou.com. You see, they feature one family a month and tell their story. They collect donations for them and give a portion of their commission to that family. They needed a way to spread the word about childhood cancer and raise awareness for these kids, so they created P.S. I Adore You. They showcase adorable one-of-a-kind items all while giving us a great deal. Hello Apparel has designed a children’s tee just for childhood cancer and they will be selling it at a discount on their site. P.S. 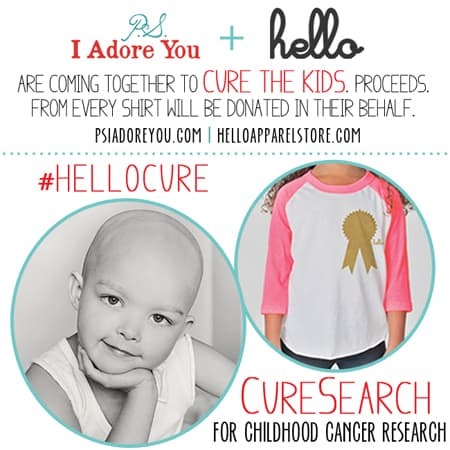 I Adore You will be donating 100% of their commission from the shirts and hello apparel is donating $1 per shirt for a total of $6 for every shirt sold. 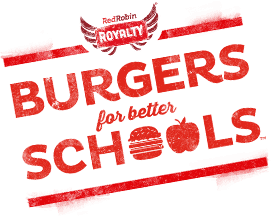 The non-profit they have chosen to support is CureSearch for childhood cancer research (this specific non-profit donates 98% of all money raised directly to childhood cancer research). Now that is something worth standing behind! They will be running this special with Hello Apparel from February 18th-22nd on their site, www.psiadoreyou.com. Project Pomona Jeans: Your Child’s Most Comfortable Pants! Herb How-To Growth Chart: Free Printable!